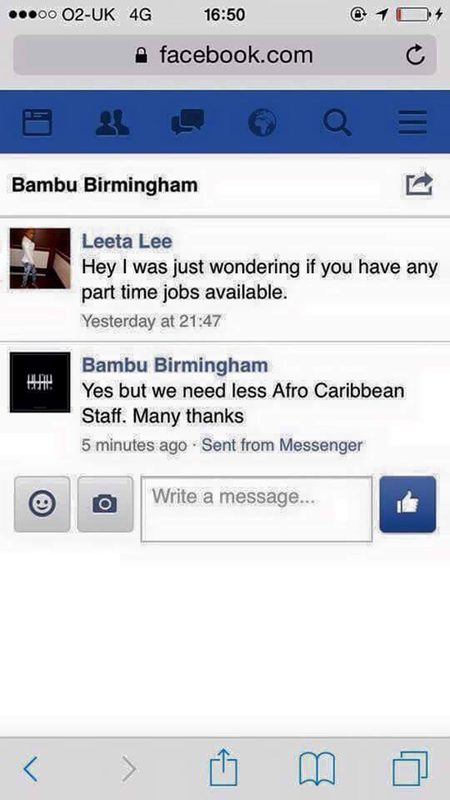 A Birmingham nightclub has apologised to a black jobhunter who was told the venue needed "less Afro Caribbean staff". 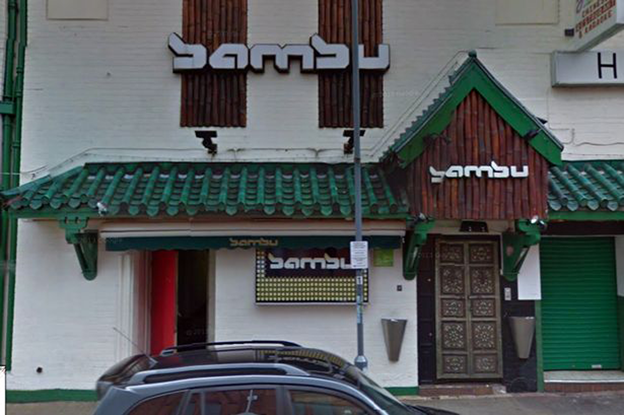 The Facebook response was sent by the Bambu nightspot to a woman it named as Leeta Lee after she messaged to enquire about possible vacancies. The message was spotted by a string of other Facebook users who contacted the Mail to express their disgust. The message sent from Bambu's Facebook account. A later post on the club’s account apologised to Ms Lee and blamed an unidentified former worker. The club said: “First and foremost we’d like to apologise to Leeta Lee for the very inappropriate reply she received to a vacancy request. “We have stringent procedures in place with regards to our social media accounts and passwords associated to these. “Unfortunately we were not able to apply these before a former employee managed to access our account. The club said it considered the incident a “failure in management duties” and would be reviewing the way it issued social media accounts to employees. It said it would also “review protocol on when an individual decides to leave our employment”. We have nothing but love for the city of Birmingham and genuinely believe that 13 years of trading could not have been achieved without the diverse crowd this city brings. “We have always endeavoured to create the ultimate party experience and will hope to continue to do so until you’re all fed up of us. “Along with all our counterparts we hope to keep our lovely city of Birmingham up there in the best places to party in UK. Ms Lee could not be contacted for comment.